Think about your favorite song. Where does it take you? Maybe it reminds you of a beach in Mexico, the dance floor of a dark and dingy club, or a cozy living room on a rainy Sunday. And how does it make you feel? Nostalgic? Excited? Confident? Music is one of those weird things that has the power to transport you somewhere else and plonk you right in the middle of a story a million miles from your reality. And it's that idea that sits behind a new fragrance brand called Art Meets Art. The brand has taken a handful of iconic songs from years past—the kind of tunes that have defined generations—and immortalized them in the form of perfumes. Much less about fancy bottles with impressive ingredients lists (although they've got that too), this new perfume offering is all about evoking a mood and a feeling in the same way that listening to a song can. Keep scrolling to hear why I think this new fragrance brand is worth clearing some space on your vanity for. The newly launched French brand has just landed in the UK with a collection of five perfumes that each bring to life the personality behind a different cult song. “We choose the songs based two elements: conceptual relevance, and cult status,” explains founder Ali Kashani. “And we looked for songs with titles that are conceptually relevant as a perfume theme.” For example, the scent Like a Virgin explores eternal youth, innocence and purity, whereas Sexual Healing is all about fierce sensuality. Like their namesake songs, each of these perfumes aim to tell a story, the only difference is that instead of words, they use fragrance notes to do the talking. But I'm guessing what you really want to know is what they smell like. And having spent the last week trialling each one, I can confirm they smell just as delicious as you would hope from such a chic brand. Keep scrolling to read my thoughts on each Art Meets Art perfume. "Can we compose a perfume that is as hot and as sensual as the voice of Marvin Gaye?" No, it doesn't sound like your regular work assignment, but that's exactly what the founders of Art Meet Art set out to achieve with this reimagining of Gaye's 1982 hit Sexual Healing. It's described as a woody, spicy scent, but I get a noseful of honey and suncream. An odd mix, yes, but also decadent and satisfying. Here, the perfumer (Alberto Morillas, who created CK One and Kenzo Flower) was inspired by the lyrics of Screamin' Jay Hawkins' I Put a Spell on You to explore a new scent territory. Again, it's described as a woody and spicy scent, but it's a lot fresher than that might suggest. I get a little bit of citrus with a sinus-clearing spice that really lingers at the end of the nose. "A perfume called 'Like a Virgin' is like a Pop Art painting featuring Marilyn Monroe: It is part of collective memory," says Kashani. "Most women can guess in a second it's somehow related to purity and innocence, which makes it an interesting style statement." This one's my favorite; It's floral with a dusting of powdery musk, like the smell of a brand-new lipstick. 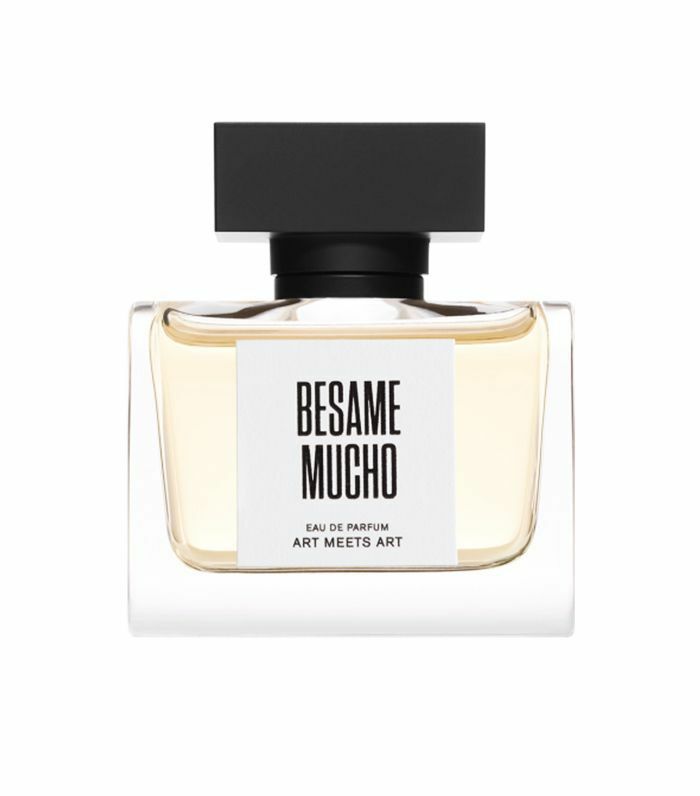 "Besame Mucho, which in Spanish means 'kiss me a lot', is an ultra-chic and sexual fragrance," explains Kashani. It smells a bit like an expensive aftershave with opulent iris and heavy, heavy black leather. Like a stronger version of the brand's first attempt at re-creating Madonna's 1984 song, it's sweeter and a little punchier (thanks to the Moroccan orange blossom the fragrance is built upon). It's limited-edition (limited to 5000 bottles to be exact), so if you're interested in it, it's best to act quickly. If you're a fan of niche, unique scents, you're sure to love this one. Next, these NYE makeup ideas require minimal effort and use products that you probably already have.